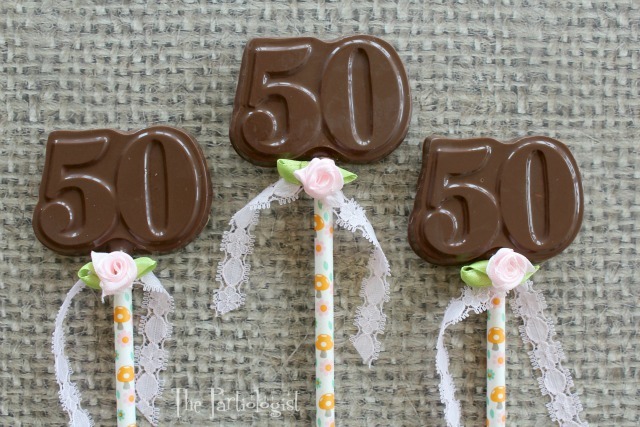 Really, you don't have to turn fifty to make the yummy chocolate suckers I'm about to show you. I'm pretty sure you'll like them at any age. And I wanted to get them all dressed up for the party, isn't that the first thing you think of when you're invited to a party? What you're going to wear? And you're going to love what they are filled with, besides the chocolate. They're all cute and lacey with the ribbon and rose. 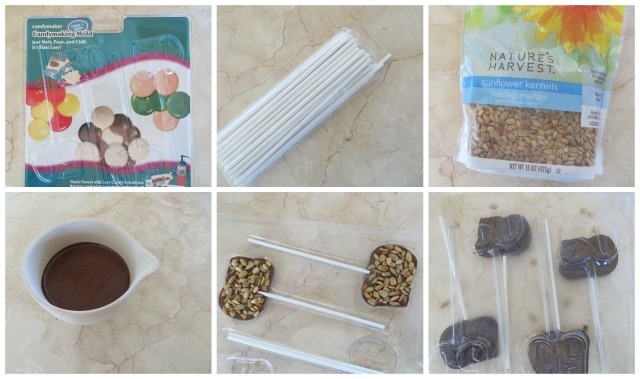 And with a few simple steps, you're chocolate suckers can be party ready. I've had this mold for awhile now and finally had a reason to put it to use. Melted chocolate (you choose your favorite). Place a lollipop stick into each cavity. Pour the chocolate, covering the stick but not to the top. 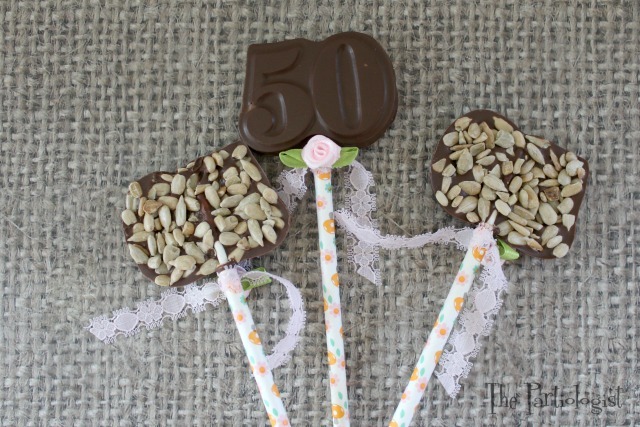 Add a handful of chocolate sunflower seeds and press into chocolate. Place the mold in the freezer. After the chocolate has frozen, remove from freezer and pop out of the mold. Now it's time for the wardrobe fitting. 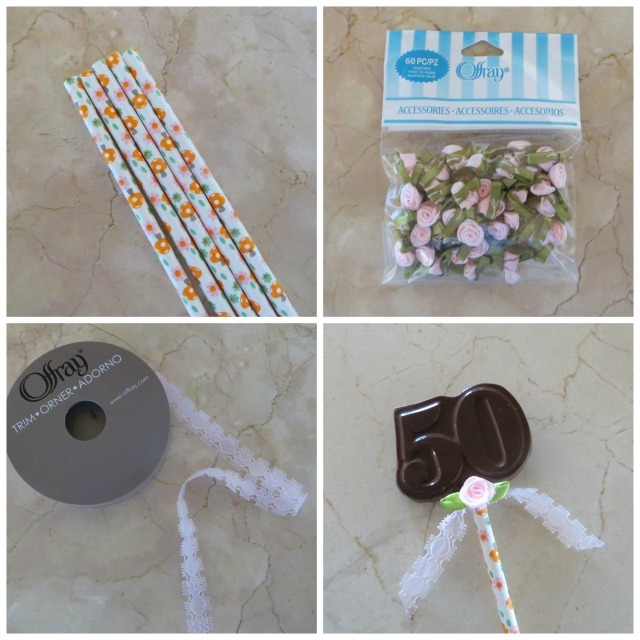 Find fun flowery paper straws to cover the stick. Pretty little fabric rose buds. Pink lack will do the trick! Tie the lace around the straw and add the ribbon rose with a hot glue gun. 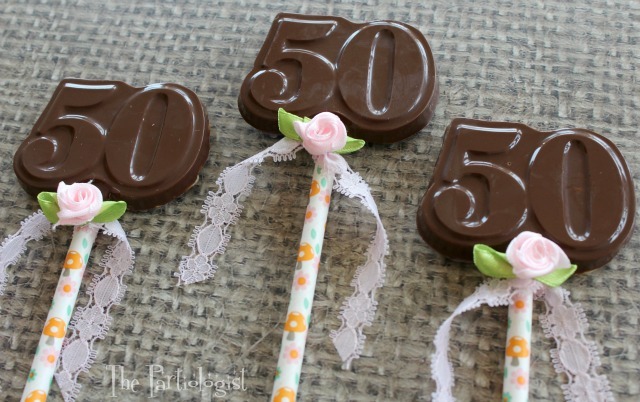 Now your chocolate sucker is party ready. No matter how you look at it, either side it's delicious! 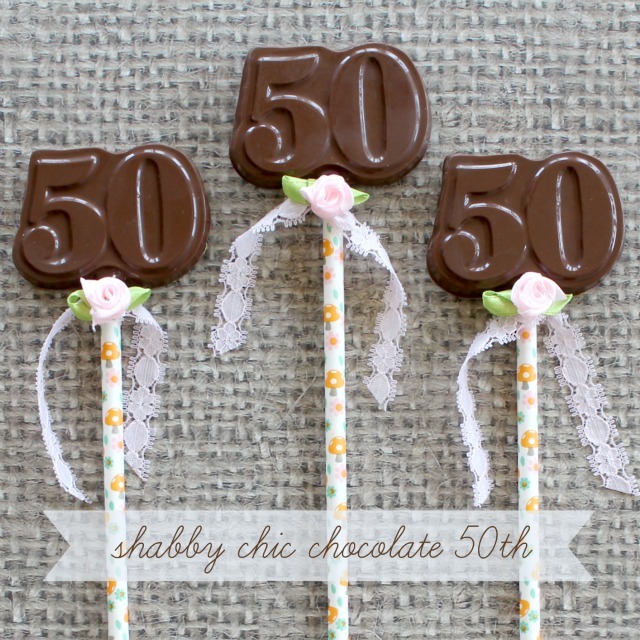 I just love how you transform simple chocolate lollipops into really pretty decorative treats. I can't wait to see how your entire shabby chic party came together. Thank you Beth, they were so simple and I loved how they turned out!